Hamshop is the official importer, distributor and dealer of LDG products. All products listed on the website are standard stock items. 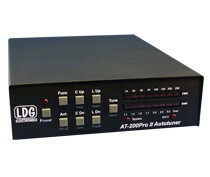 LDG antenna tuners are top quality automatic tuners with a great range. In our webshop, all the information you need is listed per antenna tuner.